Making Farming / Farmers alive. DEATH OF IDENTITY: Every Civilization in this planet was built on farming, and the farmer had always been the backbone of the civilization. All the great kings and emperor’s recognized their importance and made everything to keep farming alive. Kallanai built nearly 2000 years ago by karikal Chozan is a fine example.But today the farmer is not only been sidelined but suffocated and driven to suicide, accepted that little can be done in case of natural calamity, the same can’t be said about manmade problems,Water is the main ingredient for farming to flourish, today due to bad river management, coupled with monsoon playing taunt, resulting in failed crops, the farmers who had taken loan from banks and private money lenders, for farming default on their repayment, resulting in losing the agricultural land /farm types of equipment.This coupled with expectations from the family members for higher education, daughter's wedding, and medical expenditures for the family members drive the farmer to end his life.This is an endower to save the Farmer, thereby saving the farming thus our Civilization, which is our Identity. REFORMING FARMING: Traditionally India was always very populous country, and we had no Famine until the end ofMugal rule. The advent of Colonial rule had brought Drought, Famine into India, and the Government of the day wanting to continue their dominance over the country systematically destroyed all the infrastructure and traditional knowledge. By the time we attained our independence most of our traditional habits and knowledge were forgotten, and we had blindly embraced the western way of life.This did not change even after independence, the government of the day instead of reviving the traditional method of farming, encouraged the use of chemical fertilizers/ pesticides, which gave more crops per acre but killed the soil, which resulted in the substandard quality of crop and lesser yield. This results in us consuming substandard food.This endower aims to reclaim the traditional methods of farming, and introducing modern water management concepts. Thereby making the soil healthy, resulting in increased quality crops, thus forming will become sustainable, and farmers will be relieved of their distress, and we can eat healthy food.WHAT CAN I DO?We invite everyone to join this endowed; one can contribute by cash or kind, your contribution will be utilized for the purpose of reviving agriculture and for the uplifting of farmers by helping them in their children’s education/marriage and medical expenses.You will be provided with lifetime membership card which can be used for your benefit as this endower grows; besides your contribution will be redeemed in 5 years. BENEFITS TO YOU: This concept is based on the principle of mutual benefit when the farmer can produce quality food in abundance; it results in lowering of food prices, which is a direct benefit for you. Besides, we get to consume pesticide free food, which results in healthier person thus reducing medical expenses. We will procure the produce from the farmer, and sell the same thru dedicated outlets, with minimum margin, for the contributors who have the membership card. And importantly preserves our civilization for the generations to come. HOW WE DO: A. To provide a membership card for small and marginal farmers identified by the local panchayat or local farmers society/associations.B. 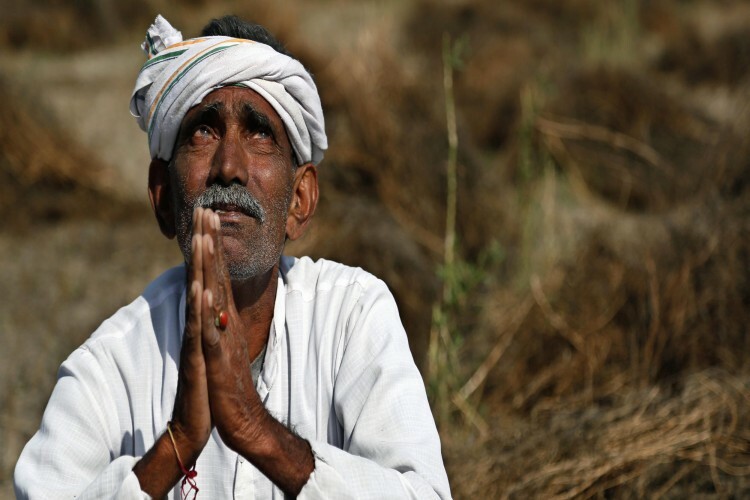 Identify the problems faced by the farmers in every district of Tamil Nadu.C. Identify the solutions available locally and promote them.D. Interest free loans for the small and marginal farmers, with the option to repay on equated monthly installment, one-time repayment, or product buy back.E. Promote organic farming.F. Rent farm equipments to the small and marginal farmers by charging for the fuel and operatorbata.G. Community-based drip irrigation system, and other best practices in water management.H. Promote Native seeds which are suitable for the native people.I. To take over the existing loans from the banks, private lenders, microfinance institutions.J. To provide educational loans, marriage loans, and medical insurance to the farmers.K. To encourage and promote crop insurance.L. Restore soil health.M. Establishing food processing units for value additions.N. Establishing storage solutions. THE GOVERNMENT: The elected government and its bureaucracy, which was inherited from the British, still thinks that their masters are in London, and their sole purpose is to rule this country on behalf of their masters from London, all their schemes are half hearted and half baked which creates more problems than providing solutions.When BSC and NSC dominate the economic activity, speculators with both their eyes firmly fixed on short-term speculative gains, don’t have patients for three months for harvest, so agriculture is relegated to the back seat.The politics of River Cauvery for more than two decades even after the Supreme Court of India's final order has not been implemented, not because of lack political will, but flowing water in the river will hinder Sand mining activity in Tamilnadu, which is a cash cow for the ruling elite. Hence there is a clear lack of intention on the part of the state government to bring Cauvery water to Tamilnadu. Thus resulting in the direct loss of Agriculture, and indirectly making the land unusable for agriculture by depleting the ground water.The central government on its part wants to extract Hydrocarbon from the Cauvery delta basin, for industrial or which it needs the land for extraction, and transportation, no agricultural land can for industrial activity, only when agriculture activity is stopped for considerable period of time, and the land can be reclassified as non-agricultural land and acquired for extraction of Hydro carbons. When a thewhole world is against Farking, the central minister preaches the benefits of the same. This will drive the thespeculative economy of the BSE and NSE. Extraction of hydrocarbons contaminates the ground water,making it unusable for human consumption let alone farming.Even when the river originates and ends inside Tamilnadu, like River Thamirabarani, which irrigates Tirunelveli and Thuthukudi districts the government had allowed setting up of shop for multinational soft drinks companies which draws millions of liters of water from the river, on the premises that the companies provide jobs for thousands of people, but fails to mention that the same is depriving livelihood for millions, destroys agriculture, reduces agricultural output, resulting in higher food prices. SILVER LINING: In spite of all this, there are some silver lining, like the resent announcement by the Supreme court of India, that River Ganga and river Yamuna are to be treated as human beings and to enjoy all the benefits of a human being, following that precedent we must make sure that River Cauvery too must be added to the list or all the Rivers of this Nation should enjoy the same benefit.The other silver lining is that the Farmers themselves started to fight for their right and theirway of life, be it in Neduvasal in Tamilnadu, or Janthar manthar New Delhi.WHEN WE JOIN OUR HANDS IN THIS INITIATIVE, IT WIIL BE A TREMENDOUS BOOST FOR THEFARMERS, YOUR MEGER CONTRIBUTION WILL ADD TO THEIR VIGOR, WE DO NOT SEEK YOURGENEROUS CONTRIBUTION, BUT ANY CONTRIBUTION.This is not only about Farmer or Farming, but our culture, Civilization, and our way of life. Your share could be as good as a donation for Valor Enterprises! Not everyone can afford to take care of their loved ones. Valor Enterprises's life can only be saved by donations made by kind people like you.